Jodie has more than 30 years of development experience associated primarily with child welfare organizations, higher education and healthcare institutions. 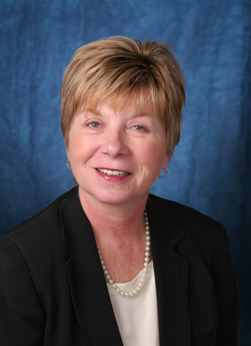 Previously, Jodie served in the positions of National Director of Major Gifts/Planned Giving for Father Flanagan's Boys Town; Vice President, Institutional Advancement for the College of St. Mary (Omaha NE); and Director of Development at Child Saving Institute and the St. Joseph Health Care Foundation (Omaha NE). Jodie's experience includes working with national organizations and being responsible for subsidiary offices in various locations. Jodie has experience in all areas of fundraising including annual giving, planned giving, capital campaigns and major gifts. Jodie has in depth knowledge and ability to work with individuals who have made major charitable gifts, either outright or deferred. Many of these gifts were $5 million and over. She also has expertise concerning the various planned giving vehicles and works with clients on understanding major gifts and deferred giving. Her knowledge has been noted in national presentations on how to establish a major gift program. She also teaches how to make direct solicitation requests. Jodie serves on various boards both nationally and locally, and is the 2016 Robert J. Sandberg Award Winner from the Charitable Gift Planners of Nebraska.